Take a moment to think about Tsitsikamma forest and you’ll soon be daydreaming of mountains, towering trees, log cabins and waterfalls. Stretching across 80 km of coastline the indigenous forest is a multi-dimensional landscape rich in diversity and overflowing with inspiration. The protected area, situated on South Africa’s famous Garden Route, is the place to go if you are in need of a little relaxation. Use a wood, earth and green palate throughout your space for a tranquil look that draws on the beauty of this celebrated costal reserve. Bring the natural beauty of this destination into your home using the right combination of earth toned colours and natural patterns. Wood textures and lush greenery – these are the defining features of the Tsitsikamma Natura and inspiration elements that can easily be adapted to your home for a calming, tranquil look reminiscent of this destination. Log cabins are a regular feature found in wooded areas around the world and the Tsitsikamma Natura is no different. 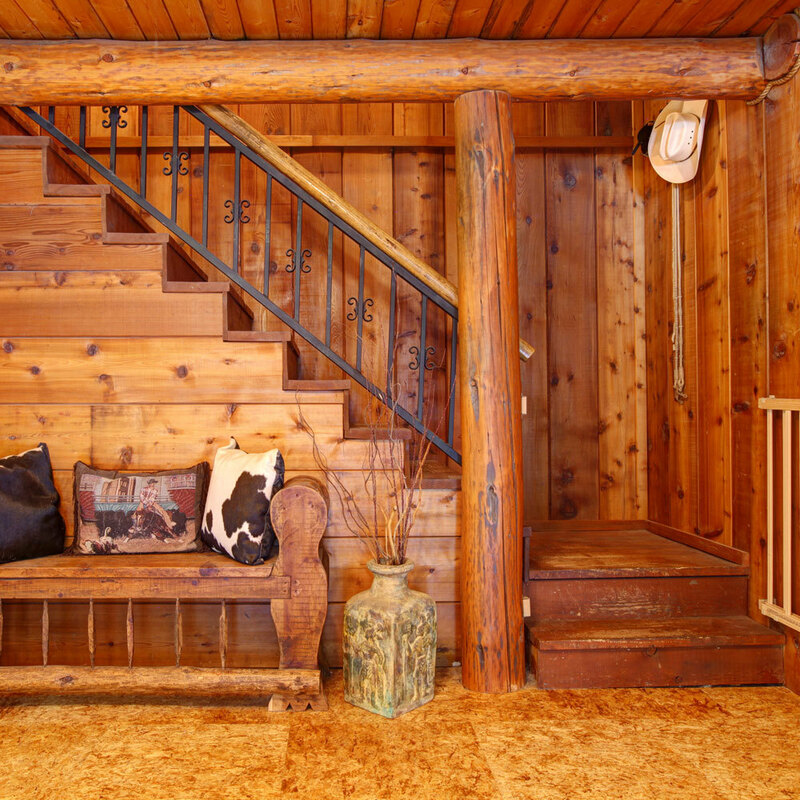 Typically, the design of a log cabin is simplistic and built using round logs and basic elements of stone, while often thought of as ideal setting for a vacation home where unwinding is the name of the game. Texture rich and cosy, these spaces invoke a natural warmth and the look can be achieved through careful use of wood textures. Reaching from the Keurbooms River to Kareedouw Pass, while forming a continuous range with the Outeniqua Mountains to the west, the Tsitsikamma Mountains are a sight to behold. Towering to a height of 1,675 m, these sandstone peaks have a great deal to offer in the way of inspiration. Get the look by incorporating rock features in your space or explore the unique textures of the landscape and invoke the splendour of the world famous peaks. From the mountains and flowing water to the towering trees, Tsitsikamma is a costal reserve like no other. It’s a place where the magic of nature dominates the landscape and life slows to a casual pace, offering the ideal inspiration those looking to redesign their homes.